LG’s newest engineering miracle revolves around the LG G6‘s display, as the company ditched the modular functionality it introduced with the LG G5. This tall display has QHD levels of pixel density on a 2:1 ratio, flanked by thin bezels. Moreover, LG implemented rounded corners to make the device even more attractive to the eye. Something that reviews aren’t as quick to point out, and that unzoomed photographs don’t really show, is that these corners aren’t quite pixel-perfect. Note: This “defect” (if you could call it that) was found on pre-production units in South Korea and at Mobile World Congress, as well as in our review unit. Consumer-ready versions might show different levels of jaggedness and a different transition from side to corner. However, we have no reason to believe that’s the case with the information we have thus far. T o be more specific, the transition from the straight side of the display to the rounded curve of the corner is very jarring, making for a not-quite-smooth transition that ends up taking away from the novelty of the form factor. Moreover, if you look very closely at arc of the corners (which is admittedly hard without good vision or a close-focus camera, but we invite you to zoom on the picture to the side), the curve’s pixel placement doesn’t seem as smooth as you originally think. It’s not a huge issue, mind you — one can certainly enjoy the phone without even noticing such detail. But as once you see it, you will keep seeing it — this is the fate I’ve accidentally instilled in fellow editors that I pointed out the issue to. It’s not a cause for concern, and there might be variations among units, but so far our editors have seen this pattern in all of the G6 devices we’ve checked out. That being said, there is a slightly-surprising yet not wholly-unexpected fix to this, and it involves a popular app category that has surged with the advent of screens with rounded corners. You’ve probably heard of the app Cornerfly by XDA Senior Member flyperinc on a reddit post or listicle by now, but if you haven’t, the concept is simple: Cornerfly introduces black overlays on top of your display’s corners to emulate the feature, although the functionality only truly lends itself to devices with either good contrast ratios or AMOLED screens, and black fronts. And they must be truly black, too, as the app doesn’t fare quite well on the “Quite Black” Pixel for example. The result can be very a e s t h e t i c on devices like the OnePlus 3T (with black front). But even if your device already has curved corners, it can benefit from such an app, as the LG G6 demonstrates. Indeed, an app like Cornerfly can soften up the rough corners LG’s manufacturing process couldn’t address, and with LG’s quality display, the app compliments the screen much better than it does with rectangular displays. As you can see in the example above, the transition from the rectangular sides to the rounded corner is made much smoother and less “boxy”, though not on the default curvature radius that comes with Cornerfly’s free app. If you want to smoothen it the way shown above, you need to tune up the curvature slider to 18 or so, which sadly requires a $0.99 purchase from the Play Store; alternatively, you can use a different free application to achieve the same result. 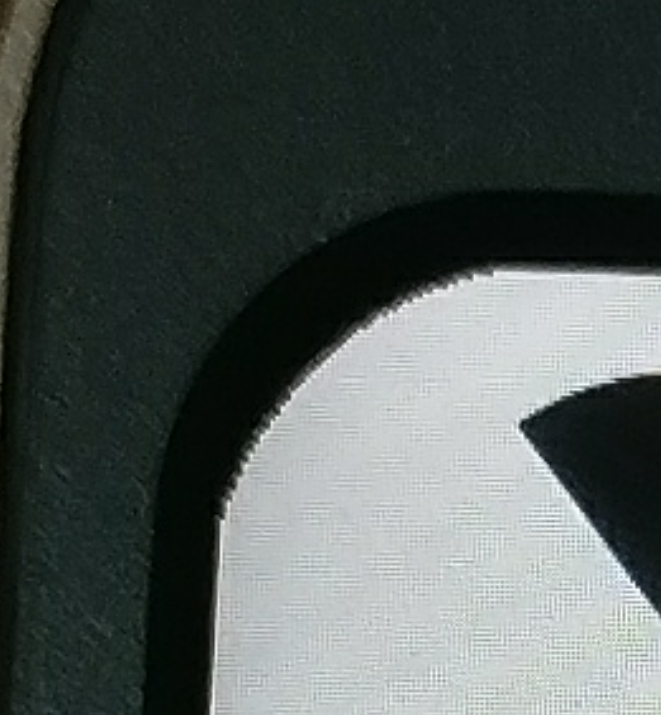 The fact that LG’s newest display has such amazing black levels and contrast makes this little trick even more effective, and while I haven’t tried it on a white LG G6, I know that there is a black border around the display which should mask what’s actually happening as well as my black unit does. Because of the fact that the display is already curved, there’s isn’t much of the overlay showing up anyway, so at most you will see very few “black” pixels light up if you look for them in a dark room. I think this shows the strength of software and how many of the features OEMs invest so much time and resources into can be replicated through software (though not universally, and sometimes not as effectively). An example in a similar vein that comes to mind is how EIS implementations like Google’s can put many OIS-ready smartphone cameras to shame. Ultimately, we love apps and services that make our devices able to experience what the newest flagships are offering, even if the solution isn’t perfect. In rare cases like this, the imitation itself can be used to perfect the newest flagship itself. 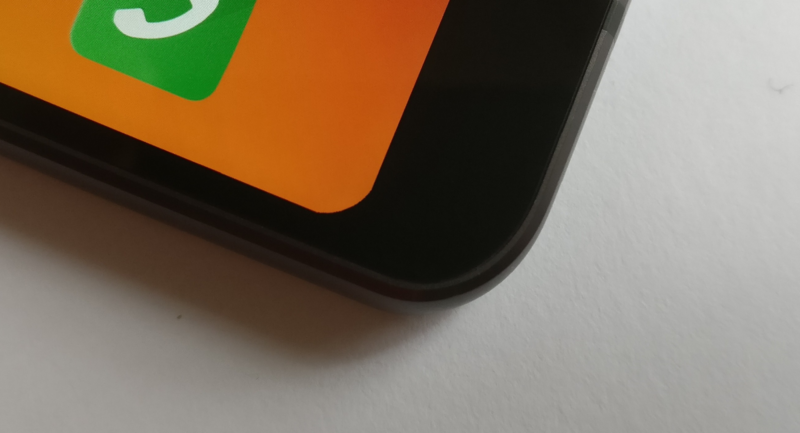 What do you think of rounded corners on smartphone displays? Tell us in the comments!